You know the saying . 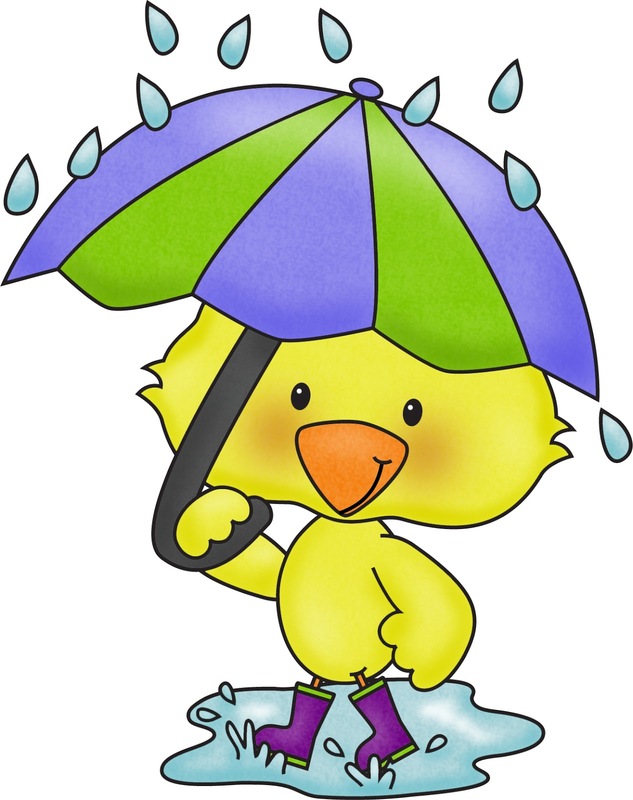 . . “April showers bring May flowers.” This April also brought BABY SHOWERS to mind as a close friend’s daughter and son-in-law await the birth of their first child. 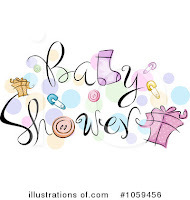 This will be my friend’s first grandchild and she hosted a baby shower to help the parents-to-be prepare for the new arrival. 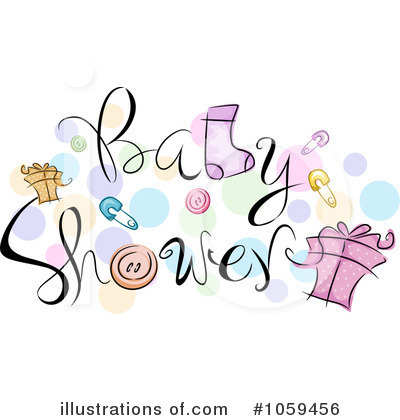 The shower invitation suggested congratulatory cards could be replaced by the gift of a CHILDREN’s BOOK for the couple, establishing this young family’s starter library in one afternoon. What a genius idea! Each gift giver inscribed the book with a special thought or wish for the family. The parents would see and be reminded of these fond wishes every time they read the books to their growing family. Young parents love to encourage curiosity and an interest in the world around them. 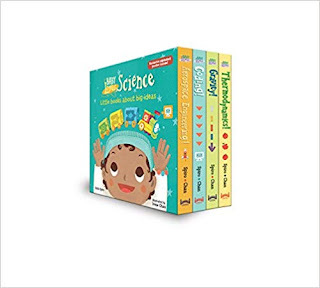 Spiro’s innovative science board books do just that. Published by Charlesbridge, these are “Little books about big ideas: Take your little scientist on a tour of the world around them! Fly high with the basic concepts of aerodynamics, get down to earth with the forces of gravity, think step-by-step like a coder, and celebrate the thermodynamic power of the sun with this collection of four board books.” Colorful and beautiful illustrations by Irene Chan make these science books a baby and toddler favorite. Heidi Bee Roemer’s PEEKITY BOO! What Baby Can Do! 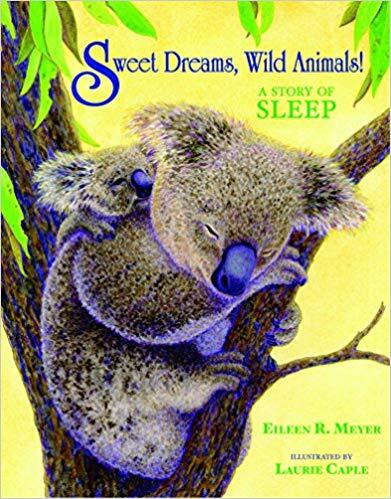 A well-know and award-winning poet, Roemer’s newest title is a nurturing rhyming book. 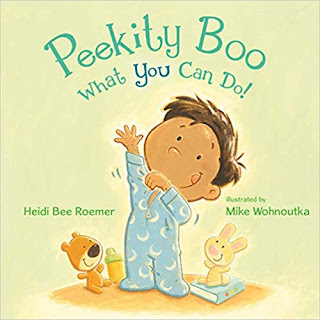 "Writing in soft, rolling rhymes, Roemer walks through a toddler’s nighttime routine as doting parents alternate caretaking roles . . . Wohnoutka’s chalky art creates a sense of homey contentment—like a warm blanket." 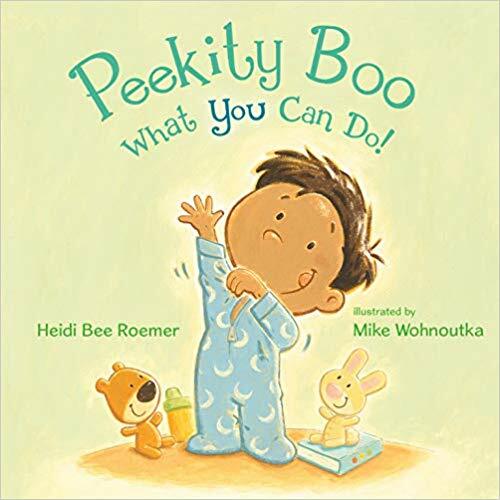 --Publishers Weekly Roemer effectively uses playful, silly words and this Christy Ottaviano/Henry Holt book is sure to be a favorite read-aloud for the young set! 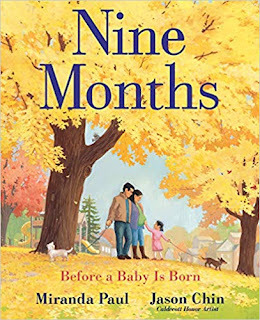 And, if the family expecting a baby has little ones awaiting the new addition, I recommend Miranda Paul's new title, NINE MONTHS: Before a Baby is Born. This is the perfect book to share with a young child awaiting a new sibling. Contrasting the baby's development in the womb with the changes and excitement building for the family, this book details "just enough" information about the new arrival for a young child to understand and digest. Gorgeous art by Jason Chin. Just out in bookstores this month. any of Alice Schertle’s Little Blue Truck books. 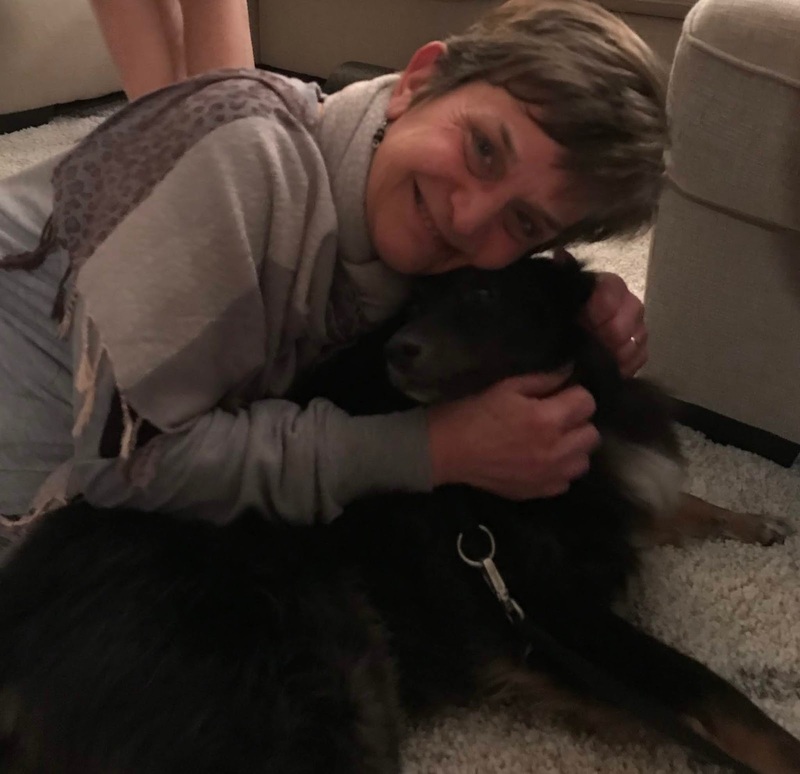 Spring is a season of renewal – and it is fitting that we have a NEW GROG BLOGGER, my friend and fellow author, Julie Phend! 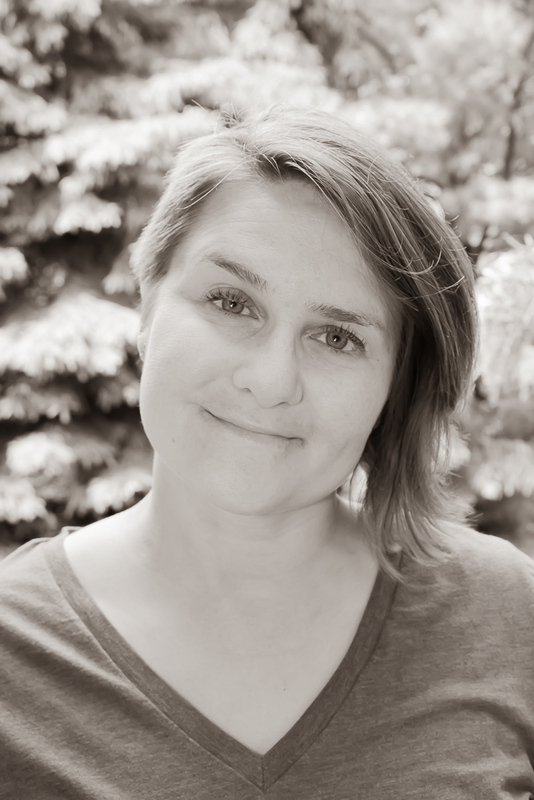 Allow me to introduce Julie to our readers with a short Q & A.
Eileen: Welcome, Julie! Tell us a little about your background and your interest in joining the GROG blog. 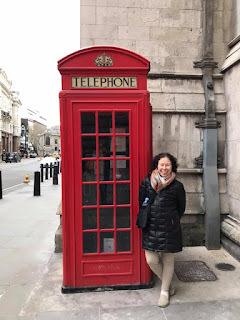 Julie: I’m a big fan of blogs that connect teachers, writers, and readers. We are a symbiotic community—we need each other to create readers and to create books that provide meaningful experiences for young readers. 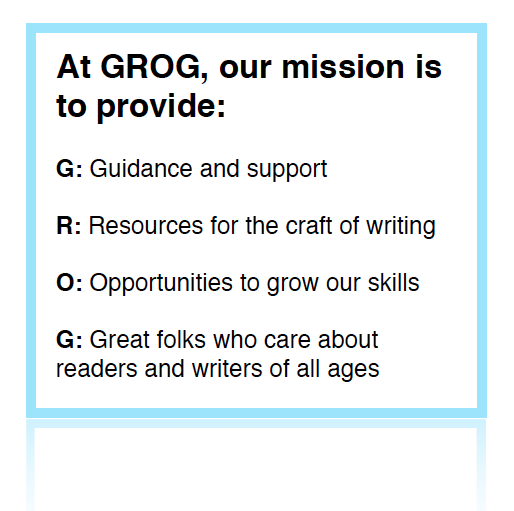 I’ve admired and learned from the GROG blog, and I’m eager to contribute to its ongoing mission to connect these populations. Eileen: Can you give us a sixty-second summary of your experiences in children’s publishing? 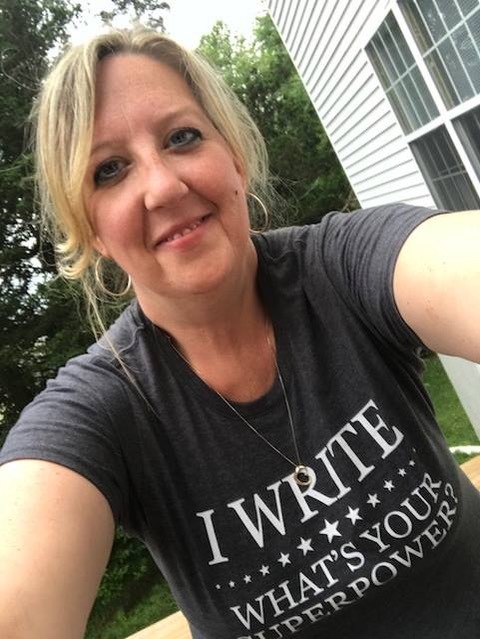 Julie: In my career as a middle school teacher, I loved connecting students to great books, as well as encouraging them to explore their own talents as writers. My teaching experience led me to my first publication—D-Day and Beyond was written with WWII veteran Stanley Edwards after he visited my classroom to talk about his experiences in the war. This project wakened a dormant dream of writing for publication. I joined SCBWI and began to research a historical novel based on a true story. That led me to an awesome critique group and a whole community of writers who care about children. Julie: In college, I double-majored in English and Theater and discovered a love of Creative Drama with children. I taught creative drama in school and after-school programs throughout my career and produced dozens of plays with children. In almost every case, the kids and I wrote the scripts ourselves. It’s a dynamic creative process that can’t be beat. Wow, I’ve known Julie as a friend and fellow-critique group member for over a decade and I didn’t know that she had been a Theater major in college! I’m delighted to welcome Julie to the GROG Blog Family and I’m already looking forward to her first blog post in the coming weeks. 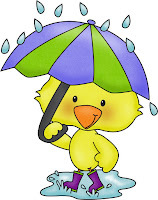 To all our readers--thanks for stopping by and welcoming Julie Phend to our blogging family! Kids love dinosaurs. Kid lit writers love Elaine. No need for introductions. We'll skip over the formalities. Everyone knows Elaine as the founder of KIDLIT411. Together Elaine and Sylvia Liu form an outstanding team providing a one-stop place for writers and illustrators. Join me for some online chit-chat as we learn more about Elaine as a writer and debut author. Just look at that cute smile! "I write. What's your superpower?" Q1: Everyone wants to know about your debut book. Tell us about NOAH NOasurus? Did I spell the title correctly? Well, I learned a new dinosaur name, Elaine! Click here for more facts and information about this interesting dinosaur and remains found in Argentina. Q2: Tell us about the writing process and your journey for this picture book. Q2: My writing process usually begins with an idea for a title. I like to think about an idea for awhile before I began writing. This is going to sound odd but I do some of my best thinking while I am vacuuming. I don't know if it's the drone of the vacuum cleaner or the task itself but it works. After thinking about the story and getting a rough arc in my brain, I will sit down and write a sloppy first draft. 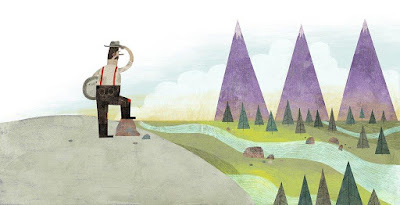 Q3: Did you and illustrator Colin Jack communicate with each other about the illustrations? A3: Nope! Not a single time. 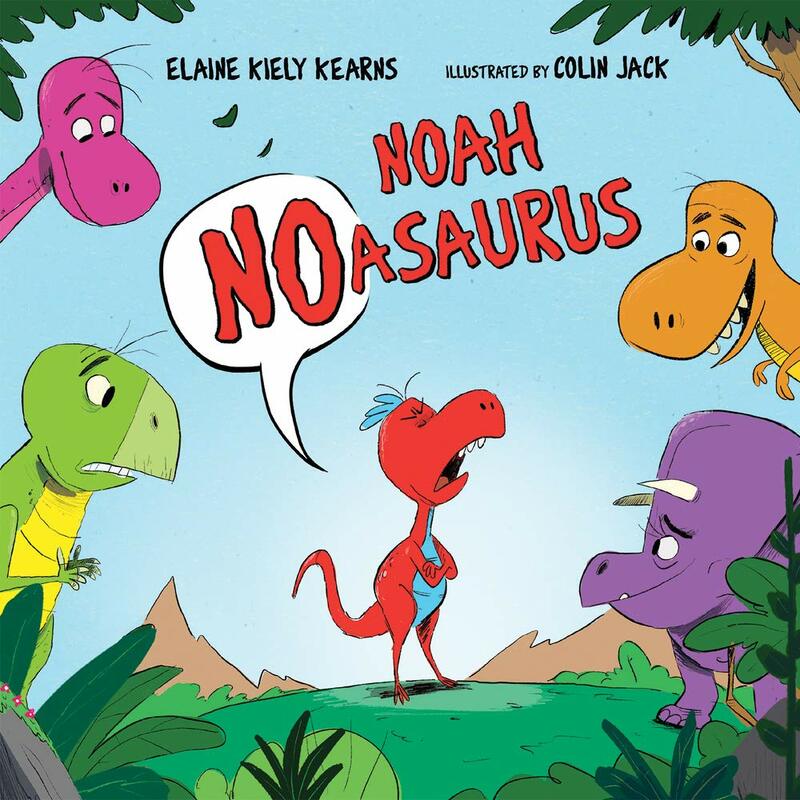 I am absolutely thrilled with how the book turned out and his art and his vision for NOAH NOASAURUS was perfect. Q4: Tell us about your book launch. A4: My book launch was held this past Saturday, April 13th and we held it at Scattered Books in Chappaqua, New York. The day was perfect and it was absolutely everything I imagined my launch to be. It was a bit reminiscent of the old, "This is Your Life!" show as the day went on. All of my best friends were there, friends from high school that I hadn't seen forever came to see me, childhood friends and neighbors that I hadn't seen in a long time, former students, teachers that I worked with, my family, their friends, and I even got to sign a picture book for Chelsea Clinton's children, Charlotte, Aidan, and her expectant new little one. It was a perfect day! I am still on Cloud 9! Q5: What kind of swag are you preparing/sharing for NOAH NOASAURUS? A5: I bought the usual swag--bookmarks, stickers but by far the biggest hit was temporary tattoos that I had made of Noah. The kids love them! Q6: Share your author history. 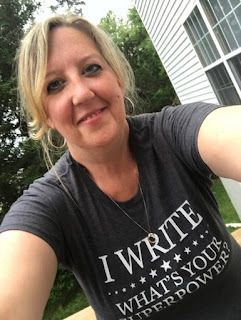 Did you always want to be a writer or did that accomplishment come later while being an educator and a mom? Q6: I had always thought about writing but life was busy working as an elementary school teacher. It wasn't until I had my girls and was home with them that I decided to seriously pursue the idea. I joined SCBWI right away and then joined Julie Hedlund's 12 X 12 (where I also met my critique group members). Once I got into the industry, I loved everything about it! Kid lit people are the best people! Q7: How long did you write until you became published? A7: This story happened pretty quickly. It took less than a year from the first draft to sold. However, it had a ton of drafts and rewrites in that short time. The ending and the opening line took me the longest. I rewrite them countless times but I do love my opening line. "Noah Noasaurus woke up feeling very . . ."
Probably because I can relate to it. That is too funny, Elaine! 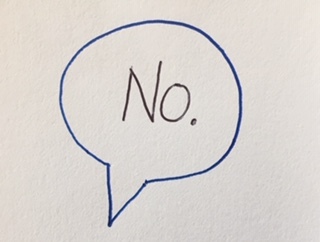 Everyone seems to have "NO" Days! Q8: Tell us about your special place where you like to write. 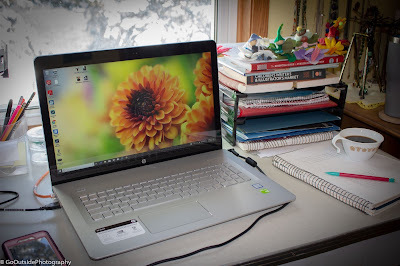 A8: I write at the kitchen table or on my couch. I do have an office but it is being redecorated right now! If I am stuck on a draft I like to go to Starbucks. Q9: Do you write every day? Most days? Q10: What's the best piece of advice you've received as a writer? What is your advice for writers "under construction"? A10: From Aree Chung, "Make the dummy." Even though you may not be an illustrator make the dummy. Q11: What are you currently reading? A11: Write now I am reading lots and lots of picture book that have a series and lots of Early Readers. Q12: Share some accomplishments that make you proud. A12: My girls are my best achievement. I know every mom thinks their kids are the best but I have been blessed with the most perfect kids. I love them so much! Q13: Do you have a favorite treat? A13: I love pizza. Any kind of pizza except meatball. I know pizza isn't normally considered a treat but it can be if you try hard enough! Q14: Where can readers find out more about you? Thank you, Elaine! I picked these flowers for you and Noah, too! Spring Lilacs for Elaine & Noah! A few years ago my dad and mom began panning for gold. They never found the motherlode, but they had a lot of fun exploring new places and meeting fellow enthusiasts. So I was excited to discover Matthew Lasley's new picture book about panning for gold. He is Pedro. I am Pan. Up here, on Pedro’s pack! I’m not a Frying Pan. I am a Gold Pan. You can call me Pan for short. Yep! I fell in love with this small, round character at first read. Pan is a hard worker, swishing and swirling gravel from icy cold streams. 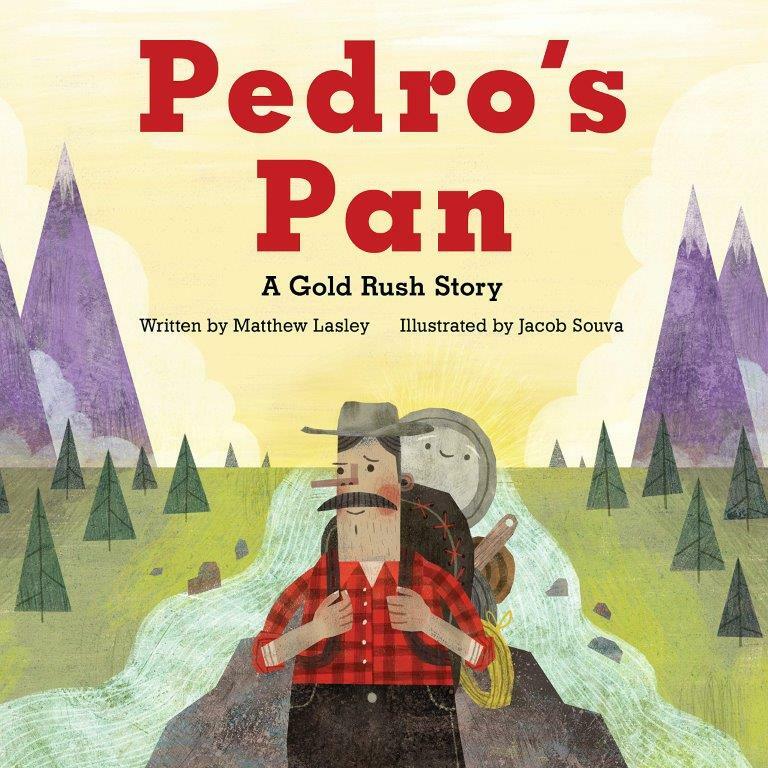 But finding gold is tough, and Pedro is growing sad because he can’t find any. And Pan wonders if he is broken. I like a lot of things about this book, beginning with the end pages (red plaid like a wool shirt). The language is fun. Having Pan tell the story is brilliant. And there is Back Matter: information about the real Pedro, tips on panning for gold, and some solid gold facts. I really like the illustrations – and was so fortunate to run into illustrator Jacob Souva at our region's SCBWI Spring Conference last month! He agreed to share his thoughts about Pedro’s Pan with us today. Jacob: Thank you. It was lovely meeting you at SCWBI! GROG: How did you come to illustrate Pedro's Pan? Have you ever been to Alaska? Panned for gold? Jacob: My agent let me know of a possible book with Graphic Arts (recently rebranded as West Margin Press; Alaska Northwest Books is an imprint ). She said it was about the Alaskan gold rush. I admit that I knew a little bit about it - but not enough! I set out gathering info and images to help me understand what that period in Alaskan history was like. I love history so it was not a tough sell. GROG: Talk about the medium that you used for illustrating, and why you chose it for this book. Jacob: I work digitally and modify my style a little based on what the story needs. It tends to look like collaged paper with a healthy amount of stray pencil marks and rough painting. I think in big shapes. Jacob: Yes, I think that books require a consistency where it’s a believable world to the reader. It’s not hard to get lost in that as the illustrator! The illustration process can be a kind of immersion in the story that is pretty deep. Not quite like the Alaskan wilderness, but maybe close? GROG: Can you share some spreads and talk about your process? Jacob: My process is not that unlike a lot of illustrators. I start with research, then sketches of the main characters. I took some time to study the colors I wanted to work with. 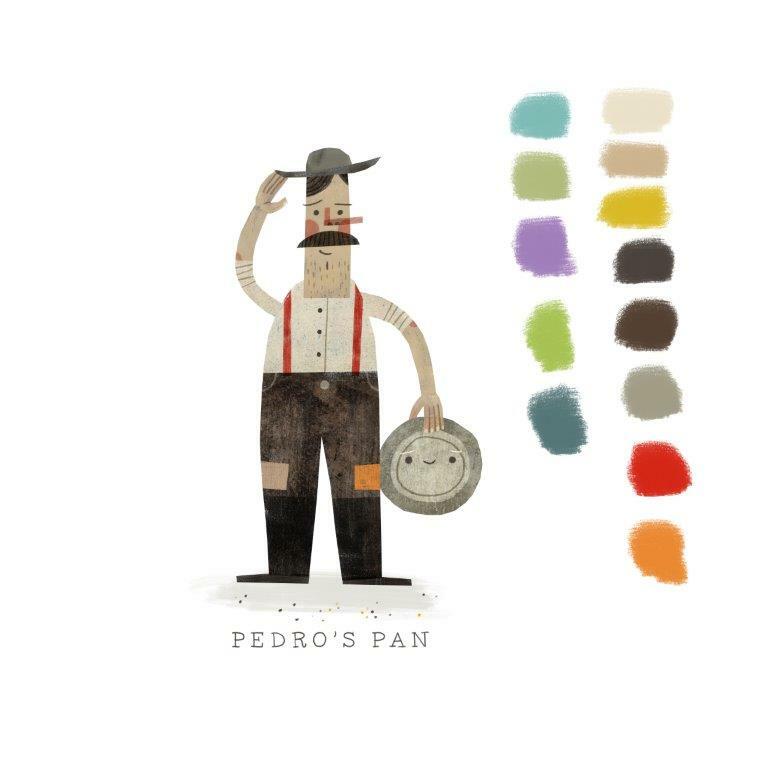 I really felt like Pedro and Pan needed to look great together - a real team - so I spent a lot of time on their shapes. Thumbnailing the book was my favorite step. It was a true challenge in that prospecting and gold panning requires a lot of time in and around streams, but I didn’t want to get repetitive. I think I solved it! GROG: You mention that the night scene was the spread you were most nervous about. Jacob: In every page before that final spread it wasis clearly daytime and was a much lighter palette. I was nervous about making it look like it fit, while also clearly showing a kind of “long day, well spent” vibe to the environment. Campfires tend to be just that! But it was tricky. GROG: How often did you talk to Matt? Jacob: I didn’t communicate with Matt until the artwork was handed in. I did a lot of googling about gold panning and the Alaska wilderness. I’m surprised I’m not seeing ads for trips to Alaska! GROG: Got a project in the works that you can talk about? Jacob: I have two more books with West Margin Press currently in process. They are a little lighter and funnier! I also am working on a beautiful book about a boy with a big heart and another about how beautifully gross butterflies can be. It’s all been a lot of fun and a dream come true. Thank you for dropping by for a chat, Jacob. Good luck with your books! Check out the trailer for Pedro's Pan here. You can find more of Jacob's work at his website. Here's a fun video filled with tips and techniques on how to pan for gold, and here's a list of places where you can still pan for gold - and maybe find some! I'm delighted to welcome my awesome critique partner, Vivian Kirkfield, to the Grog blog. Vivian is well-known in kidlit social media for her positivity, kindness, and encouragement. 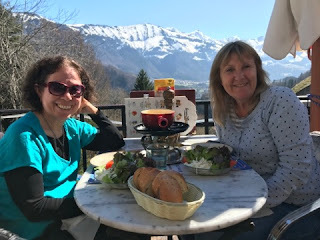 I interrupt her travels in Switzerland for a brief interview for her upcoming book birthday! In February, her debut picture book, Pippa's Passover Plate was published. And now within a day of each other her books #2 and #3 have book birthdays! Four Otters Toboggan debuts on April 1st and Sweet Dreams, Sarah from Creston Books comes out April 2nd! I wanted to chat with Vivian about Sweet Dreams, Sarah. I got to see this one from start to finish. 1. How did you come across Sarah Goode? 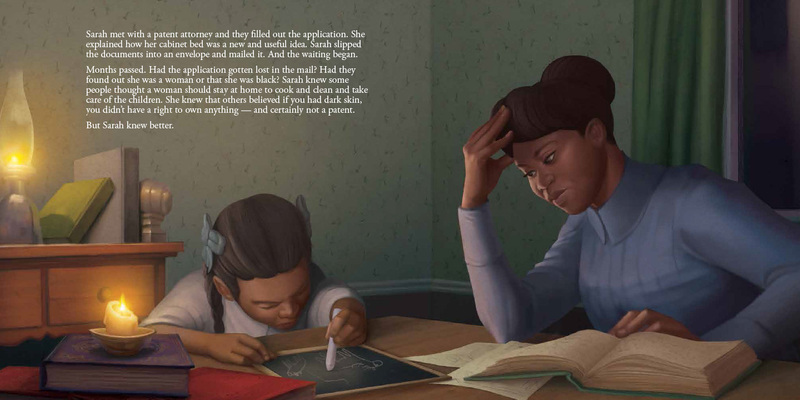 I had been scrolling through lists of ‘the first woman to…’ and when I read the brief description of the first African American woman to own a U.S. patent, I tried to find out more…but there wasn’t any…and that’s when I decided Sarah E. Goode deserved to have a book. 2. Was there anything different you had to do for researching Sarah? Because there was so little information, I had to reach out to librarians…my local librarian reached out to several other librarians. One sent me an advertisement from an 1886 newspaper for Sarah’s furniture store. Another shared an 1885 photo of the street where Sarah’s store was probably located. And I also contacted the cemetery where Sarah is buried…they were very helpful and sent me the list of people buried in the family plot with a description of the cause of death. I’ve found that if you keep digging, you may find something of value. 3. How has her life influenced yours? 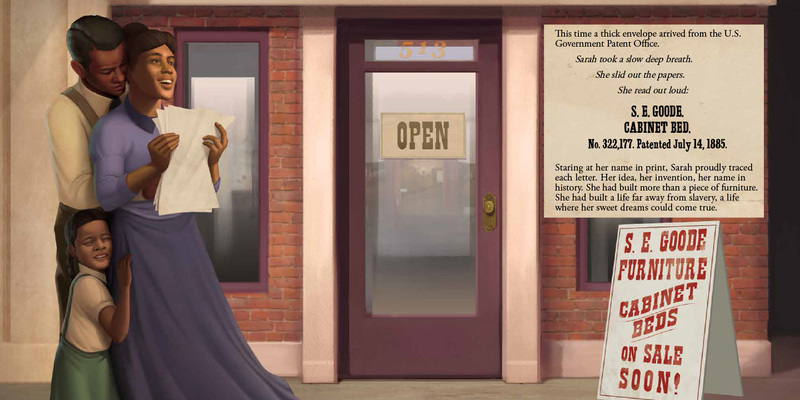 Sarah E. Goode was persistent…and patient…and totally goal oriented. I really felt a connection with her…because that is how I approach life and challenges. 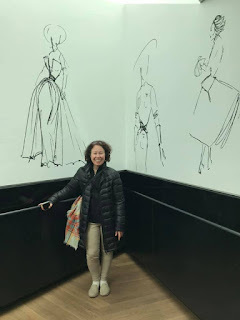 And I was even more inspired and determined to write this story after delving into the research and learning more about the obstacles she had to overcome. 4. How many revisions did you do for this story? I originally wrote the story the month after I took a nonfiction picture book writing class in June 2014. I sent it to Rate Your Story in August…and got an 8 (1 is the best and 10 is the worst). I revised with the help of my critique buddies and submitted it to RYS again…this time I got a 3. 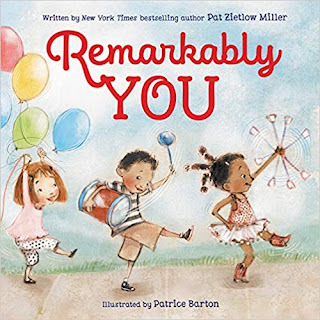 Then I revised a bunch more and gave it to more critique buddies…and submitted it to the RYS contest and won 2nd place for nonfiction picture book…and then I knew it was ready to go. And it is the story that landed me my agent! But I tweaked it again for her…and then when the editor bought it, she requested a few minor changes. And when the first color layouts needed to be changed, I had the opportunity to make a few more revisions…and I did. 5. What are your marketing plans for Sarah? Because I knew I’d be away for the launch date of the book, I reached out to many bloggers and arranged for them to do blog posts…either reviews of Sweet Dreams, Sarah or interviews with me. I’m also hoping to hold a book launch just for SARAH in Chicago, which is where her store was located. And I’ll be signing Sweet Dreams, Sarah at the NESCBWI conference in May and reading it to kids at school and library events. I’m also hoping to do a joint book event with Nancy Churnin in Washington DC with her Martin and Anne and my Sweet Dreams, Sarah. Additionally, I shared the book at the conferences in Sydney and in Auckland and have been handing out bookmarks and doing giveaways. 6. What hurdles have you gone through for the creation of this book? 7. What hopes do you have for Sweet Dreams, Sarah? 8. What are you working on now? What books are coming out soon? I’ve sent a new manuscript to my agent who will be passing it along to an editor who asked for that particular topic. Fingers crossed that the editor loves it! And in the pipeline, I have two books…Making Their Voices Heard: The Inspiring Friendship of Ella Fitzgerald and Marilyn Monroe. (Little Bee Books, Spring 2020) illustrated by Alleanna Harris; and From Here to There: Inventions that Changed the Way the World Moves (Houghton Mifflin Harcourt, Fall 2020) illustrated by Gilbert Ford. It used to be yellow…in fact, when my sister got married and I finally had a room of my own, I painted it yellow the very next day. But I also love teal blue. Indian! I love curries! The first time I had Indian food was on the first date I had with my hubby. We lived in NYC and a cousin of mine had recommended this particular restaurant. Stuart and I had never eaten Indian food before…but it was love at first taste! And the Karachi restaurant at 144 W. 46th Street became our favorite eatery. Sadly, the restaurant is no longer there…but the memories will never go out of business. Favorite children’s author would have to be Louisa May Alcott. Favorite adult author would have to be Diana Gabaldon…I am a total Outlander fan and have read all the books in the series. 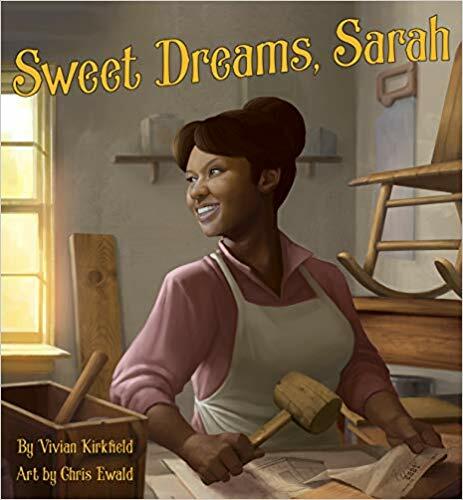 Bonus: You can watch Vivian read Sweet Dreams, Sarah, at Diane Tulloch's blog, our critique partner in New Zealand who recorded her during Vivian's travels around the world. Writer for children—reader forever…that’s Vivian Kirkfield in five words. 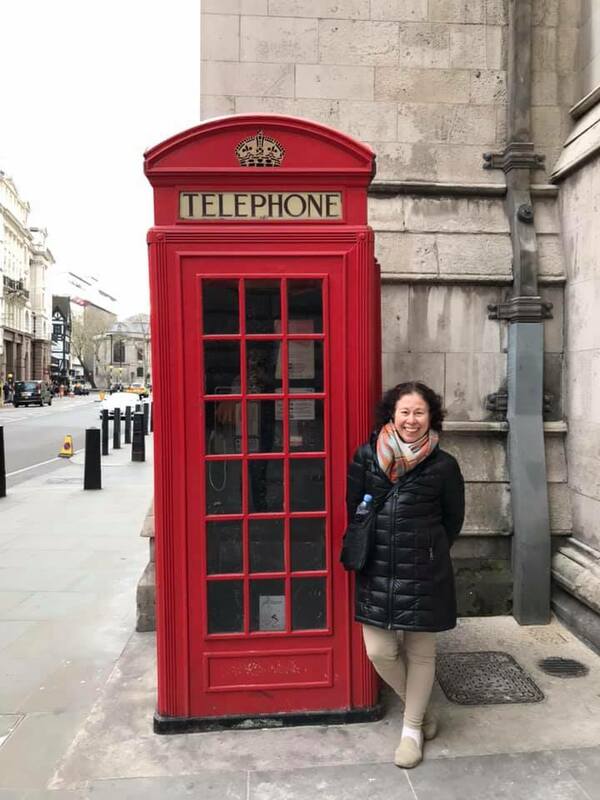 Her bucket list contains many more than five words – but she’s already checked off skydiving, parasailing and banana-boat riding. When she isn’t looking for ways to fall from the sky or sink under the water, she can be found writing picture books in the quaint village of Amherst, NH where the old stone library is her favorite hangout and her young grandson is her favorite board game partner. A retired kindergarten teacher with a masters in Early Childhood Education, Vivian inspires budding writers during classroom visits and shares insights with aspiring authors at conferences and on her blog, Picture Books Help Kids Soar. She is the author of Pippa’s Passover Plate (Holiday House); Four Otters Toboggan: An Animal Counting Book (Pomegranate); Sweet Dreams, Sarah (Creston Books); Making Their Voices Heard: The Inspiring Friendship of Ella Fitzgerald and Marilyn Monroe (Little Bee Books); and From Here to There: Inventions That Changed the Way the World Moves (Houghton Mifflin Harcourt). 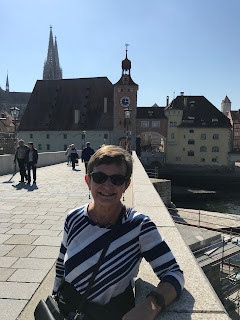 You can connect with her on her website, Facebook, Twitter, Pinterest, Instagram, Linkedin, or just about any place people with picture books are found. Grab your flip-flops and head for the beach. You never know what treasures you will find. Sarah Hoppe's debut picture book tells us about Lottie as she makes an unusual discovery while beach-combing one day. Lottie's found a pup, but it’s not your ordinary pup. Readers are kept guessing throughout this beautifully illustrated story. Children learn about nature’s different kinds of pups along the way. Let me introduce you to our multi-talented guest, Sarah. 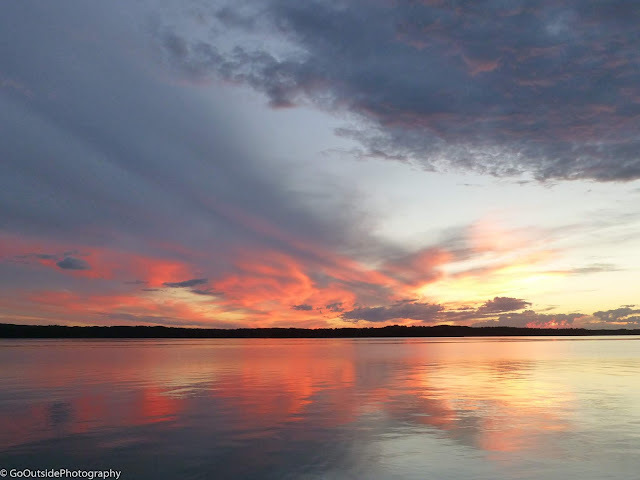 Not only is Sarah an author, but a wonderful photographer who captures the beauty of nature from the smallest slugs to the sparkliest sunsets. One of Sarah's greatest desires is to put good words out into the world as picture books and share the joy, magic, and importance of stories. 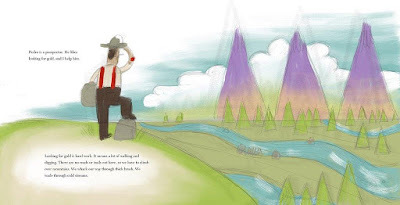 To celebrate, Sarah's new picture book, she is giving away a picture book critique. (800 words maximum.) Be sure to sign up using the Rafflecopter at the end of the article. Sarah: I am currently seeking an agent. Sarah: My older son loves to read non-fiction. He always has a huge stack of animal books from the library by his bed. One day we were talking about seal pups and an idea sprang into my head. There are so many young animals referred to as pups, there was certainly a story there. Sarah: I loved writing the pup reveal, but I also adore the faces of the characters as they investigate Lottie’s wagon. The illustrator, Milanka Reardon, did an amazing job. How long did it take to write? Get to a publisher? Sarah: The story itself didn’t take a long time, maybe 2-3 months of working on it off and on. The back matter took much longer. I wanted the back matter to be fun, informational and, most importantly, correct. I did a lot of research and spent serious time figuring out the best way to convey the information. It took about 6 months to find a publisher, but I feel I was lucky in that regard. I am a member of Julie Hedlund’s 12x12 Picture Book Challenge. If you are a picture book author, this is an amazing resource for you! I had the opportunity to submit a manuscript to Blue Whale Press through 12x12. Alayne Christian at Blue Whale has been amazing, it’s been a fantastic journey. Sarah: After I get my kids to school, I have a couple of hours to work. I divide this time between writing, photography, volunteering at the kids’ school, and household chores. I write first, while I’m freshest, and while there’s still plenty of time. I tend to be less focused later in the day. What is your favorite writing craft book? Sarah: Big Magic by Elizabeth Gilbert. I know it’s not strictly a writing craft book, but it is my favorite. Big Magic is so chock full of optimism, assurance, and magic that I feel invincible after reading it. Sarah: I try to always be open to inspiration, although I know that’s not always the case. I first wanted to write picture books when I read them with my kids. That feeling you get, when the words and pictures create something so special it gives you shivers and moves you to tears – I thought it would be the coolest thing if I could help create that experience for someone else. But, more practically, I get ideas from nature and kids. There’s always something going on there! Sarah: A couple of picture books about birds. Words of advice for writers. Sarah: Just keep chugging along, you’ll get there. 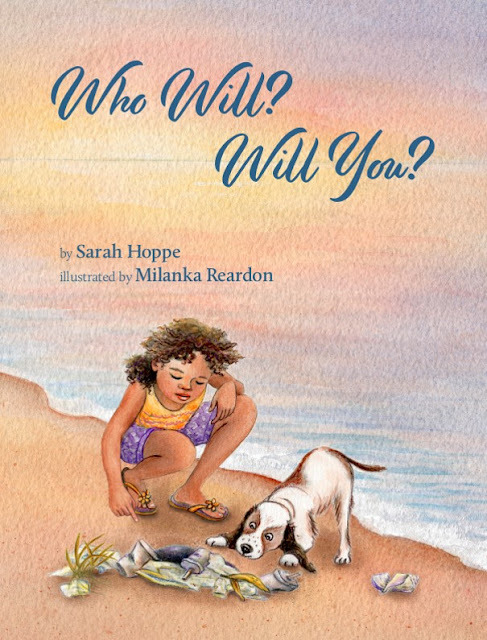 Be sure to check bluewhalepress.com this summer to get your copy of Who Will? Will You? Labels: author, critique give away, Debut picture book, Illustrator Milanka Reardon, Janie Reinart, photographer, Sarah Hoppe, Who Will? Will You?